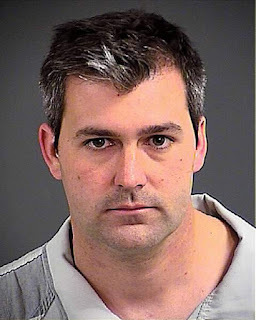 A federal grand jury this week indicted former North Charleston officer Michael Slager on charges of violating a civil rights law and misleading investigators in Walter Scott’s death, a rare measure in police shootings that gives authorities another route to reach a conviction. Chief among the three charges is a count of deprivation of civil rights under the color of law. Public officials are barred under the federal statute from using their powers to violate people’s “rights, privileges or immunities.” The indictment alleges that Slager was acting with his authority as a policeman when he used unreasonable force — a violation of the Constitution — by shooting Scott five times from behind. He also was indicted on counts of using a firearm in a violent crime and obstruction of justice. He’s accused of telling state investigators that Scott was coming at him with his own Taser when he fired. A video showed Scott running away. The grand jury first met nearly a month ago and handed down the indictment Tuesday. It was made public Wednesday. Slager, 34, is expected to be arrested again under a federal warrant. He has been free on bail since January in the state’s murder case. An arraignment was scheduled for 1:30 p.m. Wednesday in U.S. District Court in downtown Charleston.